Refuse vehicle hire and maintenance company Collett Transport Services (CTS) is delighted to announce the appointment of Tony Nicholls as Operations Manager to support Directors, Andy and Bridget Collett, in bringing innovative short term hire solutions to their developing business. Before joining CTS Tony worked as Regional Fleet Manager (South West) for a leading recycling and resource management company for over 20 years. His role involved managing over 500 vehicles as well as numerous workshops. Tony’s remit at CTS is to manage the day-to-day operations of the hire desk, service centre, workshop, fabrication and parts department, as well as helping Andy and Bridget push forward with the expansion of the business. CTS offers flexible and competitive refuse vehicle hire packages for the short or long term including a quick response Spot Hire service. The company’s expertise includes total municipal fleet support from contract maintenance, workshop management, mobile repairs and complete vehicle refurbishment. 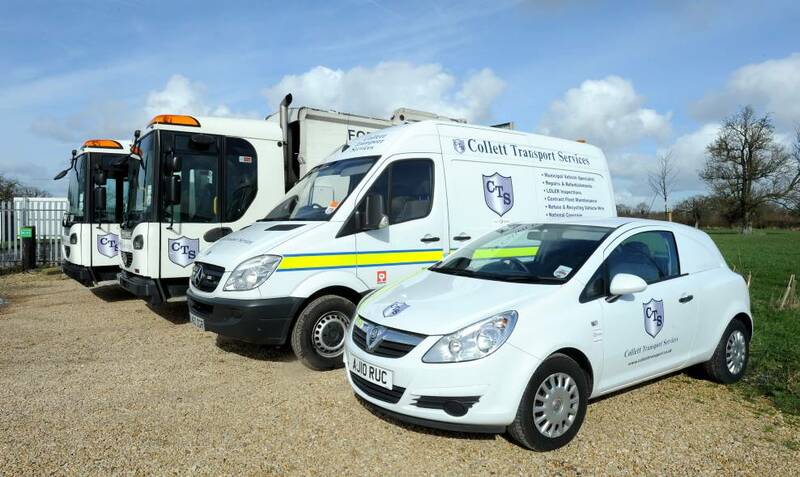 CTS has a growing fleet of over 120 vehicles, comprising primarily refuse and recycling collection vehicles and is continually investing in new vehicles. The company is going from strength to strength since becoming part of Specialist Fleet Services Ltd (SFS) in 2013. A member of the Rothschild Group, SFS provides contract hire and vehicle leasing solutions to the private and public sector along with comprehensive fleet management services and workshop expertise.